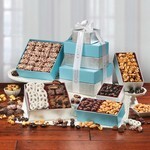 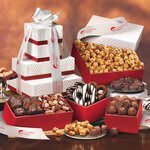 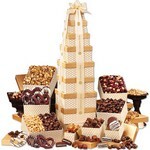 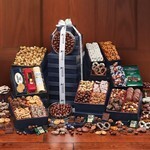 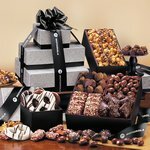 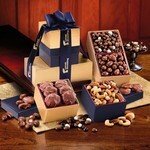 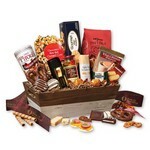 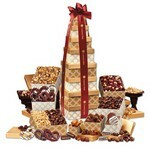 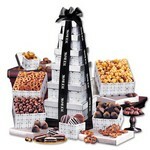 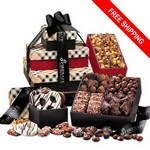 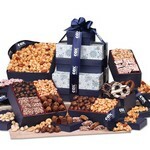 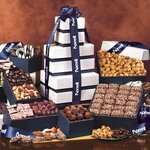 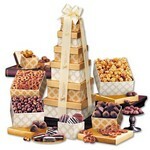 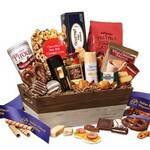 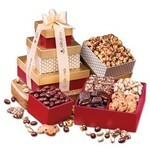 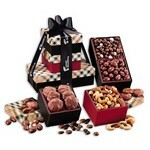 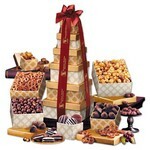 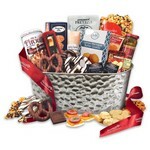 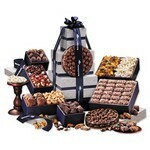 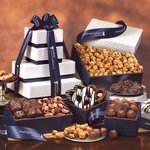 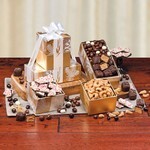 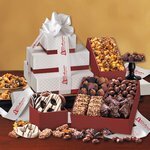 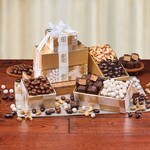 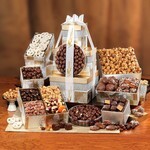 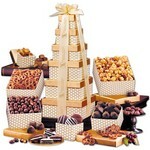 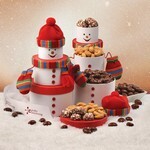 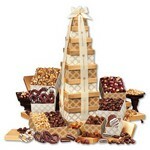 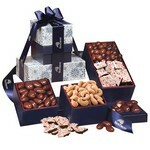 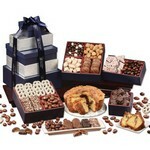 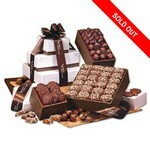 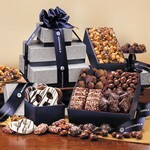 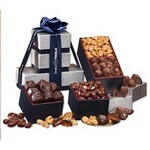 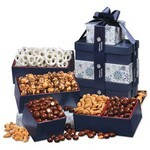 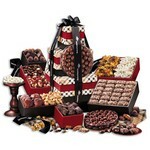 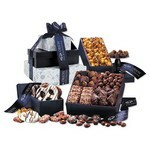 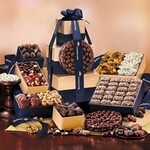 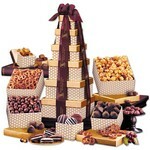 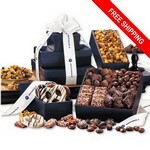 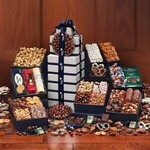 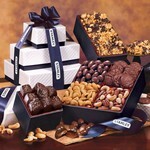 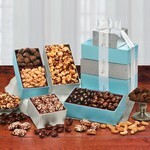 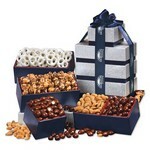 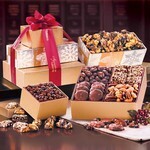 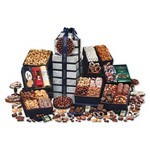 Sharing these gourmet treats will be a delight and long remembered by the recipient for your thoughtfulness! 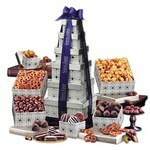 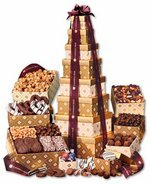 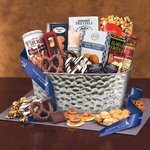 Each basket or tower is filled with delicious, fresh product and packed when you place your order. 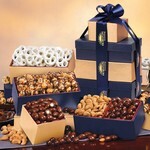 Our quality is simply the best! 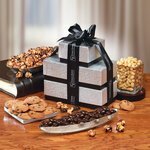 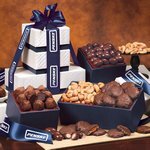 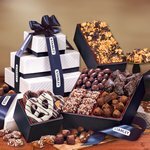 Whether it is the richness of the hand-made chocolates, or the crunchy freshness of our roasted nuts, we've built our reputation on high standards of excellence. 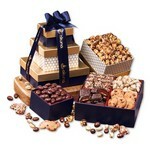 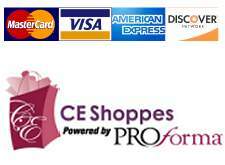 Each items can be personalized with logo ribbon. 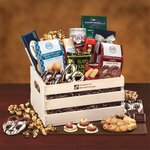 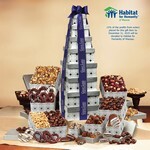 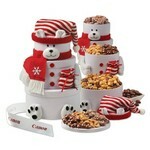 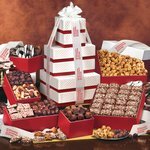 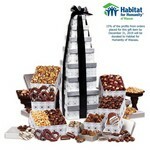 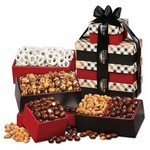 The perfect business gift for any time of the year, especially holiday gifts.